Euro Motorcars Audi Auto Body Repair Facility ensures your vehicle will be restored the right way - with Genuine Audi Replacement Parts, Audi-approved tools and equipment, and the highest-level of expertise you deserve. We're currently closed, schedule your appointment below. Were you in an accident in Germantown, Bethesda, Rockville, Potomac, or anywhere else in the Washington, D.C. area? Does your vehicle need body work? If so, head to Euro Motorcars Collision Center in Gaithersburg! 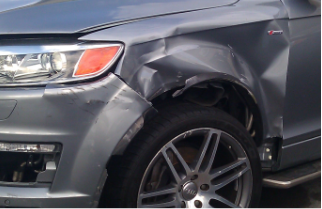 We’re experts in performing incredible repair and other body work. What’s more, we gladly work with all makes and models, so you can feel comfortable leaving your vehicle with us, no matter what it is. To schedule an appointment with us, you can fill out this convenient form or give us a call at (301) 770-3535. When you’re ready to head in, you can find us at 9030 Comprint Court, Gaithersburg, MD 20877. We look forward to serving you at Euro Motorcars! We take collision repair seriously. With a vehicle as unique and special as your Audi, why take a chance on anything less? Every vehicle that leaves our state-of-the-art repair facility takes our reputation with it. That's why we believe in doing the job right the first time, every time. And our certified status means we’re held to rigorous standards of quality and safety. All repairs are performed by highly-trained certified technicians, using the most advanced equipment available, and only genuine Audi body parts. We're obsessed with training, and keep our technicians tuned-in to advanced skills and training. Genuine Audi, through and through. Need an Estimate on your Luxury vehicle, but don't have time to wait or stop by? No Problem! Just send us a few photos of the damage, and within 24 hours we will send back your estimate, It’s that simple! The damage up close at a slight angle. Email or Text us your name, address and photos. Where you service your collision repair is up to you, but damage or malfunctions caused by services not performed in accordance with Audi specified repair procedures or otherwise not properly performed, may not be covered by the Audi New Vehicle Limited Warranty and may cause the car to not perform as originally designed. Audi consistently sets the standard for safety, and engineering design. During a collision, some of your vehicle’s sensors could sustain damage internally that is not always obvious At EuroMotorcars we’ll scan your vehicle for malfunctions before AND after most repairs. Our post-repair scanning and diagnosis of the vehicle is necessary to ensure that the vehicle’s safety and driver-assist systems are operable and fully functioning, it also helps ensure that a comprehensive repair has been performed. Audi does not approve the use of aftermarket or 3rd-party replacement parts. 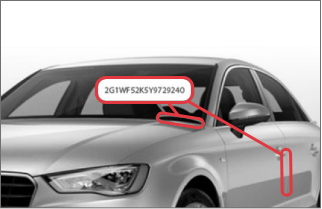 Audi vehicles are fully tested and certified as an entire assembly. Each part plays a role in the overall operation of the vehicle and is optimized for fit, function, safety, and structural integrity. 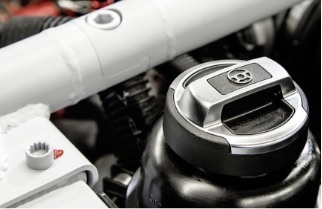 Aftermarket parts are not subject to the same requirements of entire vehicle operation or function, and may not be manufactured to the same standards or design. 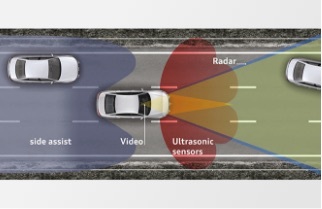 This could compromise the overall safety of the vehicle should a future collision occur. Not all auto body shops are aluminum certified. 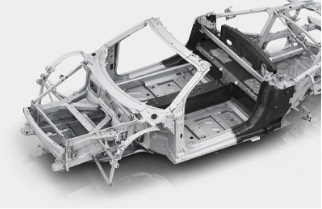 Almost every Audi has an aluminum inner structure and body parts to maximize fuel efficiency. So when they require repairs, who can fix them? Tools are specialized and very expensive, as are the conditions under which the work is performed. 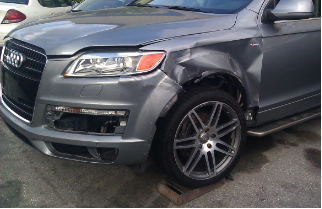 Because Euro Motorcars Collision has the Car-bench and repair area required for aluminum repairs, we can accommodate these types of repairs.